Staying MF – Musically Fit! BEATABOX Story in Shanghai, China! Arthur Choo has played different roles in his career, as a founder of BEAT'ABOX, actor, performing artiste and upcoming author. He recently had his appearance in China’s variety show, “Birth of a star” and local Kids Channel on television. 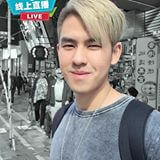 In recent months, Arthur has also had forays into English-language and Chinese-language TV drama series. © 2019 - Official Blog <Arthur Choo>. All Rights Reserved.